Coopson Technologies have a dedicated team of experienced, highly qualified electrical engineers who operate to the highest safety standards. We regularly take on large-scale commercial projects, as well as small domestic jobs, and we approach both with the same high degree of care and professionalism. So whether you need a team to work on a new-build or you're just looking for someone to fix your light switch, we can help. Either way, expect a friendly, reliable service and highly competitive prices. Experienced professionals, available 24 hours a day, 7 days a week. 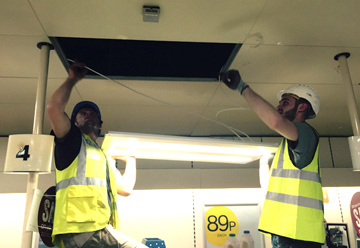 We provide domestic electrical services across Kent and for larger jobs The South East and the surrounding areas. We provide no obligation, free quotations for your planned works and all completed works are backed up by a 12 month guarantee. 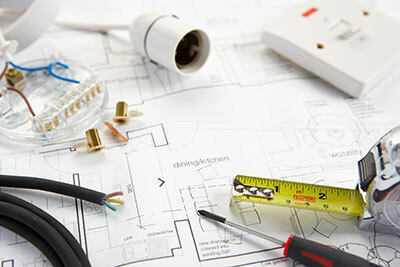 If you are planning to add a new socket or light, redecorate or extend your home then it's vital that you employ a competent electrician to complete your electrical works or once you come to sell your home you could find that you have problems if the correct certificates have not been issued for new electrical works. All of our electricians are qualified to the 17th Edition and we are a NIC EIC approved contractor. This means that we can certificate and notify your local authority of any electrical works to comply with Part 'P' of the building regulations. New Installations and shop fits. Whether you require a periodic test and inspection for insurance purposes or emergency lighting testing to comply with your lease requirements, we can carry out all aspects of electrical testing. We are a member of the NIC EIC, and all of our engineers are qualified to City & Guild 2391 and carry out electrical testing to BS7671 (as amended) standard. For these or any other electrical services you require, simply give us a call, you'll be glad you did.